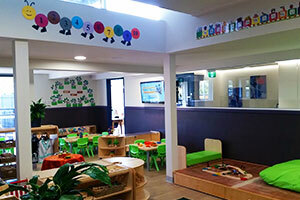 Oz Education Lidcombe childcare centre offers beautiful, large sun-filled rooms and spacious learning and play areas. Places for 2019 is full. To join the 2019 wait list or secure a place for 2020, please call 1300 644 125 or book a tour today. Our Advantage Preschool Program helps your child develop new skills and reach their potential. Oz Education Lidcombe Centre is conveniently located in the heart of Lidcombe, surrounded by homes and the local school. The centre offers several purpose-built facilities including on-site parking which makes drop-offs and pick-ups safer and more convenient for you and your children.